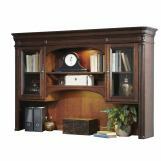 Crown mouldings, floor leveler bases and dark antique looking hardware come together to create a traditional style. 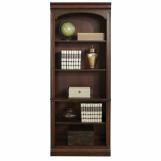 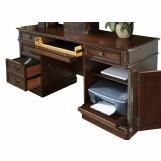 This Brayton Manor Home Office Set will help add storage space to keep your home office organized and functional. 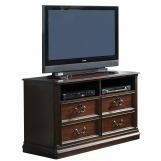 Storage drawers are perfect for stationary and other supplies while doors hide a slide out tray and storage for printers and scanners. 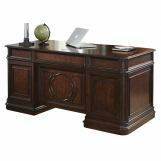 Pair the matching hutch with the credenza to further amplify the style and functionality.